Need to back up data on your iPhone? Doing so not only makes trading in your phone a breeze, but also provides a safe storage place for your personal info and documents. 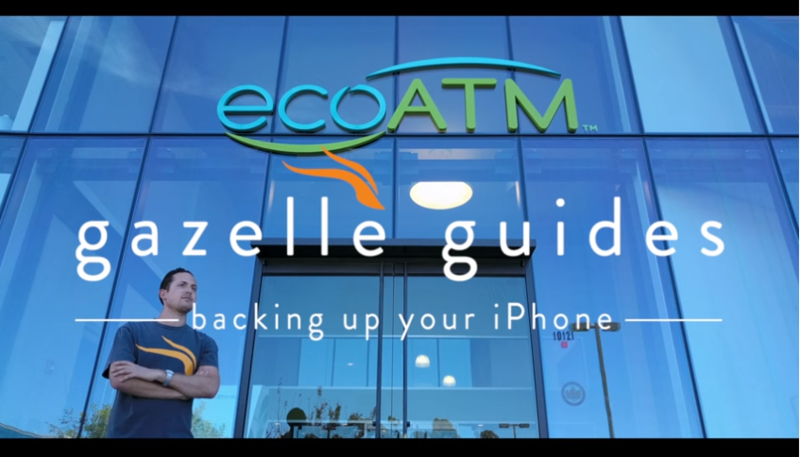 Kicking off a new series of Gazelle Guide videos, our latest video dives into two quick, easy ways to back up data on your iPhone: iCloud and iTunes. Both ways take mere minutes and will certainly save you from future stress if anything should happen to your phone (i.e. surprise dives into a pool or toilet). For those wanting readable direction, follow these easy steps towards total iPhone data backup peace of mind. First, make sure that your phone is connected to a WiFi network. Then, go to Settings > [your name], and tap iCloud. If you haven’t made the update and you’re still using iOS 10.2 or earlier, go to Settings and tap the iCloud tab. Make sure that iCloud Backup is turned on, then tap iCloud Backup or Backup for earlier iOS. Finally, tap Back Up Now. Make sure your WiFi connection is solid and you’re ready for backup! To make sure that the backup finished, go to Settings > [your name] > iCloud > iCloud Storage > Manage Storage, then choose your device. For older iOS, go to Settings > iCloud > Storage > Manage Storage, then tap on your device. The backup should appear in the details with the newly completed information. Make sure your iPhone is connected to a power source and WiFi. It’s important to know that you get 5BG of iCloud storage free of charge. Check your storage under settings if the backup is giving you problems. Additional storage is offered for about $1 per 50 GB through your iCloud account in your Settings. Looking to trade in your iPhone? Get an offer on your phone today.